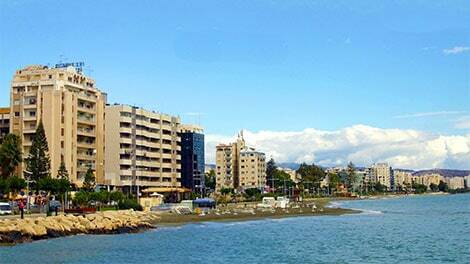 TWO FURTHER residential developments in Limassol have been announced; ‘The Icon’ in the Germasogeia tourist area and the ‘Symbol’ next to the beach and close to the city centre. Construction work on the 21 storey residential development by Imperio Properties is scheduled to start this month. The Icon will provide 54 residences together with restaurant sports, leisure and lifestyle amenities including an outdoor tennis court, fitness and yoga club and an infinity-edge pool. Each of the residences will include concealed air conditioning units and a full installation of under-floor heating. Concierge and reception services will be available around the clock and other services such as housekeeping, room service, dry cleaning and tailoring will be provided. The estimated delivery date for The Icon is December 2020. Russia’s wealthiest woman, Elena Baturina, has submitted plans to build a high-end 12 storey residential development of more than 7,000 square metres next to the beach and close to the Limassol city centre. The plot of 4,600 square metres on which the project will be built was acquired in November 2016. The businesswoman turned to the well-known Spanish architect Ricardo Bofill and his studio ‘Taller de Arquitectura’ to develop the architectural plans. Reported to cost in the region of €40 million, construction work on the ‘Symbol’ project is scheduled to start in July this year. In addition to apartments, there will be facilities such as underground parking, a health and fitness zone, recreational areas, a pool and a private garden.